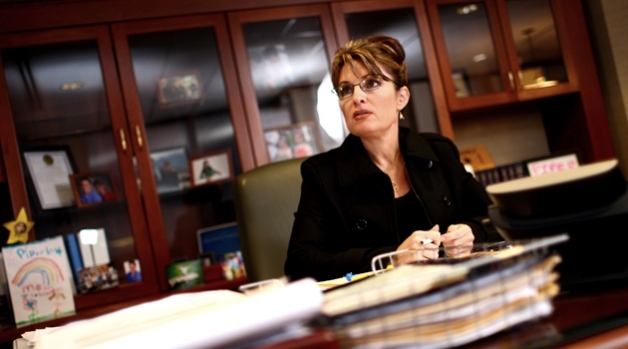 Former governor Sarah Palin is doling out the big bucks for fellow GOPers. Sarah Palin’s political action committee, facing scrutiny from the Federal Election Commission, revealed Monday that it had recently made contributions to a raft of mostly conservative Republicans, including Reps. Michele Bachmann of Minnesota and Marsha Blackburn of Tennessee, Virginia gubernatorial candidate Bob McDonnell and Sens. Lindsey Graham of South Carolina and Orrin Hatch of Utah. Those contributions, some of which were disclosed in a Friday FEC report, combined with earlier donations to the reelection campaigns of Sens. John McCain of Arizona and Lisa Murkowski of Alaska, brought Palin’s committee, Sarah PAC, to the five-candidate contribution minimum necessary for it to be considered a multi-candidate political action committee under federal rules.That status will enable Sarah PAC to dole out larger contributions to candidates going forward. Multi-candidate PACs are allowed to give maximum donations of $10,000 per candidate for each election cycle, while PACs that do not have multi-candidate status are subject to the individual contribution limit of $4,800 per candidate, per cycle. Sarah PAC jumped the gun by contributing $5,000 each to McCain and Murkowski of before it had secured multi-candidate status, the FEC informed the PAC’s treasurer in an August 19 letter. The commission, which commonly sends out letters seeking more information from candidates’ committees, demanded that the PAC “request a refund of the excessive amount” from McCain and Murkowski, and also prove that it had contributed to at least five different federal candidates. On Friday, Sarah PAC reported that it had made contributions of an undisclosed amount to the Senate campaigns of Graham, Hatch, and former Rep. Rob Portman of Ohio. A Palin spokeswoman told POLITICO on Monday that McCain and Murkowski had refunded $200 each to the PAC, reducing its contributions to them to $4,800 each, and that the PAC had given $1,000 each to Bachmann, Blackburn, Graham, Hatch and Portman, as well as $2,500 to McDonnell. Palin, the former Alaska governor who was the GOP’s 2008 vice presidential nominee, is considered a possible candidate for the 2012 Republican presidential nomination. Sarah PAC is a so-called leadership political action committee, a vehicle that politicians eying the presidency have increasingly used to travel the country, collect chits and build national profiles. The PAC, which brought in $733,000 in the first six months of the year, disbursed $276,000, almost all of which went towards consulting, fundraising and salaries. Other Republicans considered possible 2012 presidential contenders — including fellow former Govs. Mitt Romney of Massachusetts and Mike Huckabee of Arkansas — also are raising money using similar committees to fund their political activities, and similarly have contributed relatively little of their budgets to candidates. Romney’s committee, Free and Strong America PAC, raised $2.1 million through the first seven months of the year and contributed $62,000, while Huckabee’s Huck PAC in the first half of the year raised $305,000 and contributed $17,500. The August FEC letter to Sarah PAC also asked for additional information on the purposes of some PAC payments and travel invoices.